I'm not sure how today's photo came to be, given a card-maker's usual practice of posing players under bright sun or at least during daytime. This set, though, looks night-shot or trimmed down to player silhouettes over black backgrounds. I assume there's a good reason for the unusual light balance, even if just "it was at night or never." This set carries over a 1977 design and precedes TCMA's leap to full color in 1979, which several teams used instead of black-and-white (see my Charleston Charlies #5 profile). Distinguish the two by their front labels, orange for 1977 and green for 1978. 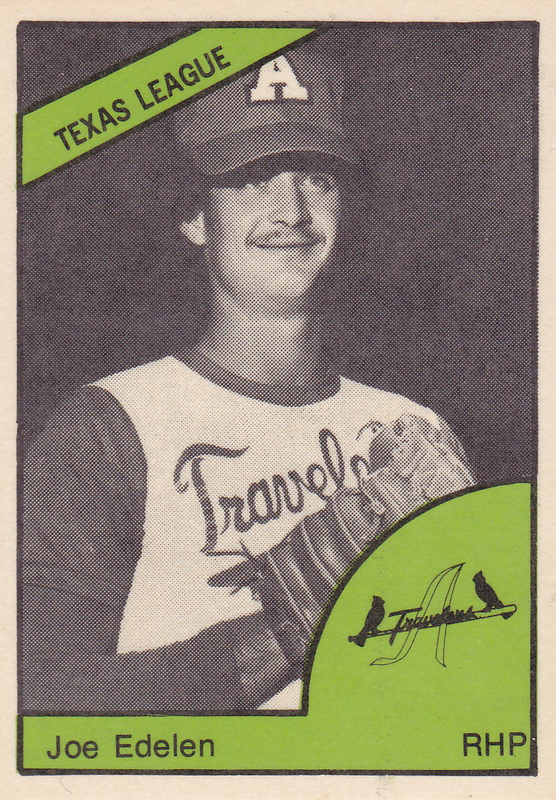 Former MLB manager Jim Riggleman appeared in the 1977 version, scan visible in Keith Olbermann's article "A Hairstyle Is Temporary; A Baseball Card Is Forever." Looks like a McDonald's sponsorship helped pay the print bill for TCMA, at least in Arkansas. 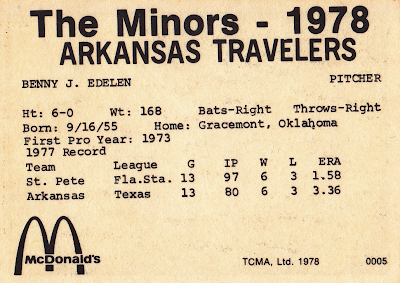 I lean on TeamSets4U.com for their year-by-year minor league team checklists; here's everything from 1978, including all 23 Arkansas Travelers (note that some numbers don't match up). Value: This #5 cost a couple dollars on Beckett Marketplace. 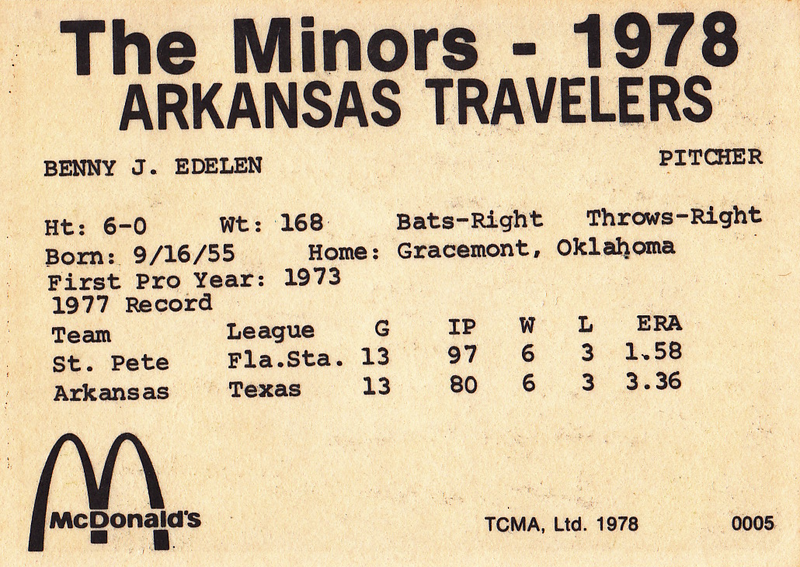 A few of Joe Edelen's teammates went on to make their name in the bigs; you might pay more for Tommy Herr, Leon Durham, and Terry Kennedy.